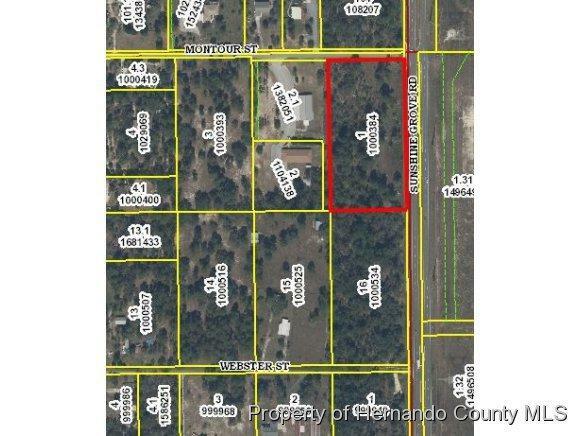 Approx 4.7 acres zoned commercial (PDP NC) in the most rapidly expanding area of Hernando county. With approx. 633' frontage on busy Sunshine Grove rd, this is a great location for almost any business. Come take advantage of this special pricing below assessed value before its too late!